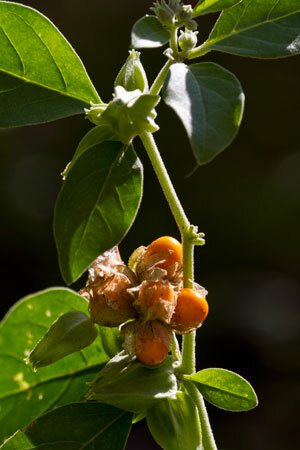 Ashwagandha is one of the most important herbs in traditional Ayurvedic medicine in India. It is sometimes called "Indian ginseng" because it acts primarily as an adaptogen to help mitigate the harmful effects of stress. Like many adaptogens, it affects hormones and is commonly used for low libido and infertility. Unlike some adaptogens, ashwagandha has a sedative effect, and is often used for stressed individuals who are overexcited, nervous and having difficulties with sleep.